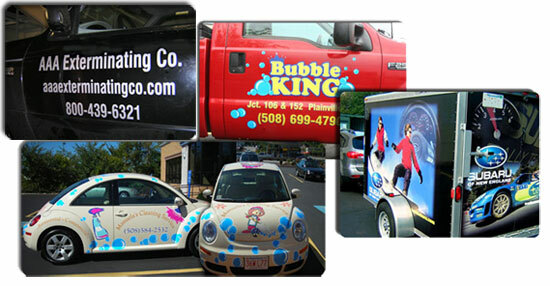 Let your vehicle become one of your best advertising tools; we can provide a wide variety of custom vehicle lettering and graphics that we will install for you and that will assure that your company name, logo and/or company information is being delivered to the public wherever you go. We also provide custom graphics and lettering for trailers. We can also be a resource to you if you are interested in simple vehicle lettering required for commercial plates.